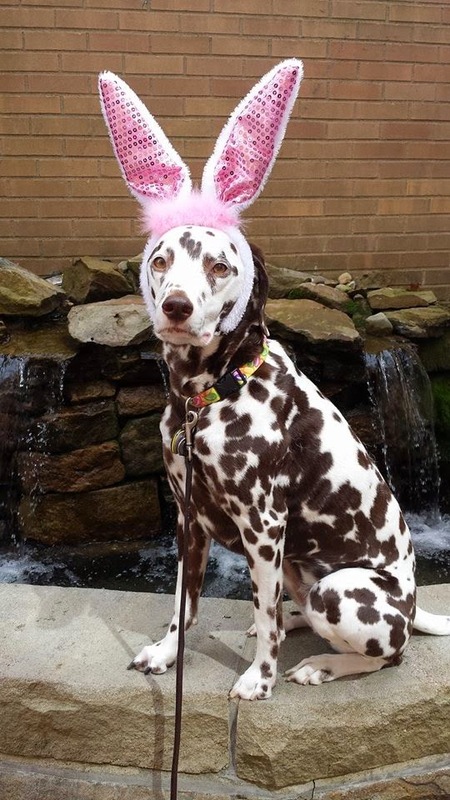 Jazz is adorable, and it sounds like she did her fair share of spreading good cheer, just like any good Easter bunny! I hope she finds a well-earned basket with special treats on Easter Sunday (and of course the other two can't be left out). I'm sure Rocky has earned a few of the Easter bunny's carrots too!